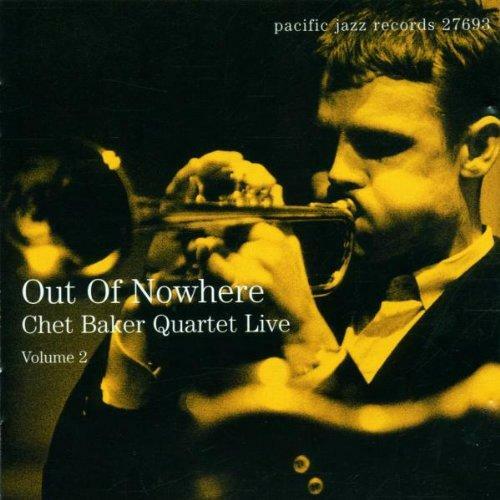 This reissue CD includes some of the selections on the long-unavailable Mosaic Records collection The Complete Pacific Jazz Live Recordings of the Chet Baker Quartet with Russ Freeman. Baker's productive partnership with pianist Freeman only lasted from mid-1953 to 1955, yet it coincided with and helped spark the meteoric rise in the trumpeter's popularity after he split with baritone saxophonist Gerry Mulligan and went solo. The recording is aptly named, as Baker literally appeared out of nowhere to win the Down Beat Readers' Poll for trumpet in 1953 and again in 1954 after an acclaimed U.S. tour. Recorded at the Santa Cruz Civic Center in July 1954 and at the Tiffany Club in L.A. that August, the 10 tracks showcase the controlled passion that typified Baker's trademark "California cool" sound, a style that found a perfect foil in Freeman's clear, crisp pianism. Highlights include memorable interpretations of modern jazz classics such as Charlie Parker's "Billie's Bounce," Mulligan's "Line for Lyons," Tadd Dameron's "Lady Bird," and the popular standards "Stella by Starlight" and "All the Things You Are."